Todays manicure shows a polish I've been wanting for ages. 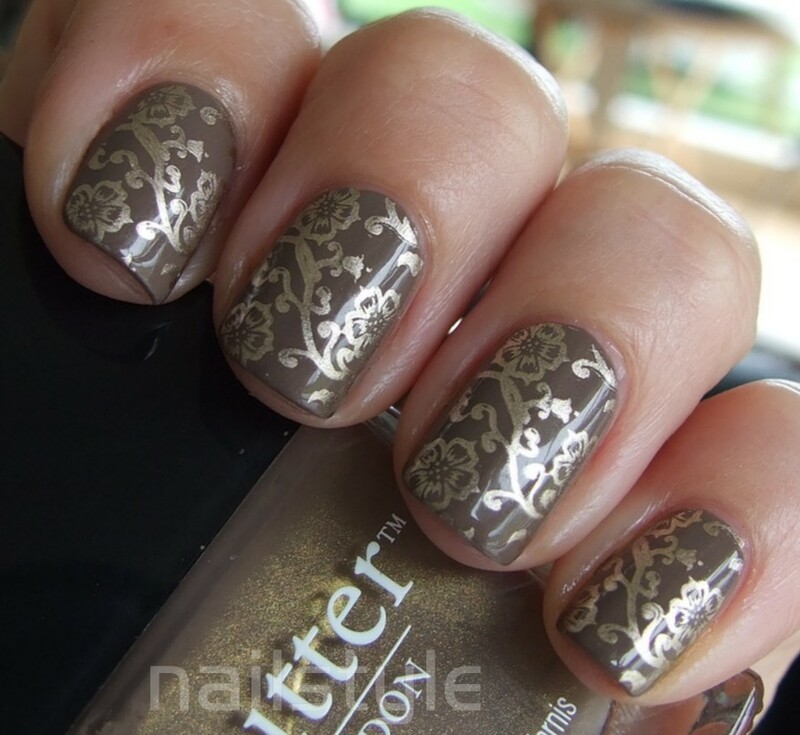 Butter London is not widely available in NZ and certainly not for a reasonable price. Nevertheless I was recently able to obtain 4 of these coveted polishes for $15 each and Fash Pack is one of them. Fash Pack is a warm golden taupe - not unlike China Glaze Ingrid. I must confess to being somewhat disappointed that the obvious gold shimmer in the bottle didn't transfer to my nails. Still I'm very happy with this colour and the easy application. Love the color! Beautiful stamp! Gorgeous! Looks amazing with the gold detailing! So gorgeous! That image with gold looks stunning. I am loving that stamp design-I need to use mine! This is stunning-I love both colors!! China Glaze 2030 looks so good for stampin! Great design.